Introducing extraVEGANza! It's the newest business to grace Schwartz Living Market! Welcome extraVEGANza to Schwartz Living Market!! We are so excited! Go to this link to be part of the process: Just cut the link below, and paste it into your browser, and you'll help Mya big time, to launch her newest venture! Mya Zeronis's business is morphing from Zest Wishes and The Lean Chef en Route to the 98 Pound Chef...Yes, you read that correctly! Mya was 145 pounds at one time!! Take a look at some recent blogging by a few of the bloggers at the brunch in April, 2015, and you'll see what I'm talking about. You'll see Mya spinning a giant piece of pizza dough! Those links can be found from the Schwartz Living Market Facebook Page. What is new and what is next? Schwartz Living Market: An Urban Oasis for Healthful Living is an amazingly open, inspirational, changeable, fruitful, sensorimotor experience! When you find yourself asking what is next, what is this process, what is this project, know that you're talking to yourself, raising your awareness, and thinking about what is next for you too!! 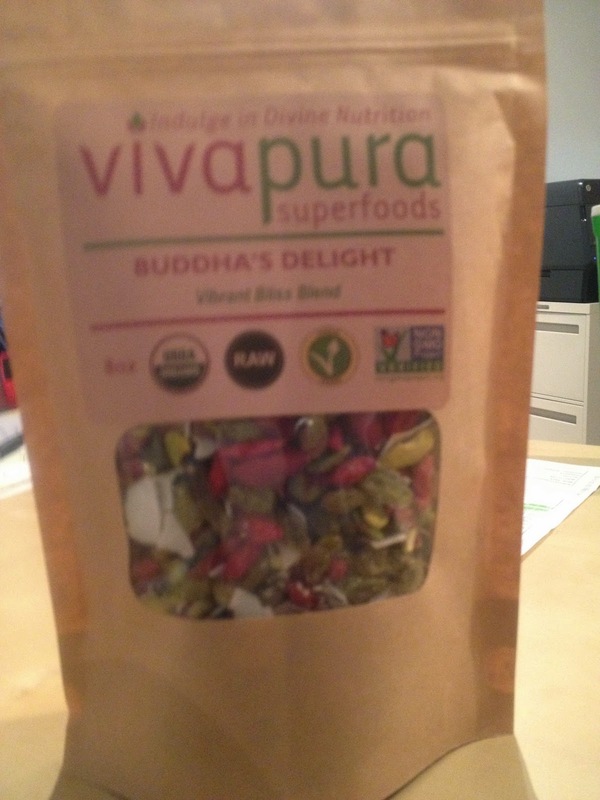 Schwartz Living Market is selling delicious VivaPura superfood Buddha's Delight mixes, Vitality Super Mixes, and more! We also sell inspirational books by Brian Clement, Ph.D. of the Hippocrates Health Institute and his amazing wife, Anna Marie Clement, Ph.D. whose raw, vegan cookbook is outstanding! Join us at the market on May 9. 2015 anytime between 11:00 AM and 5:00 PM for a shot of wheatgrass juice, and beginning at 1:00 PM for Mya's amazing 14 course delicious meal. Allow three hours to savor the food, one course at a time. Yup, the meal is served over a course of three hours. Ingredients for the first make your own juice of the day will be available when you arrive, and the fun continues course by course over the following three hours. Mya grew up in Burma, in a different culture than those of us that grew up in the United States. This Slow Foods meal will be one of those experiences you will not forget. Where else in the 'Burgh can you be served a 14 course meal over the course of three hours that is VEGAN, ORGANIC, GLUTEN-FREE, and GMO-free and if you register early or for a series of meals, the total cost is $15.00? It's unheard of! So register soon for an individual meal or for the series, otherwise the price creeps up to the also amazingly reasonable rate of $35.00/person. I am 100% convinced that a meal of this amazing quality would cost $75.00 if it were being served at a fancy establishment at the top of Mt. Washington or in Shadyside!! Stay tuned for the exact date when Mya will be open in Schwartz Living Market five days a week from 9:00 AM to 8:30 PM serving grab and go Breakfast, Lunch and Dinner! We are excited and blessed! Thanks so much to Violet, a graduate of Duquesne University in the field of Sustainability and Finance, and Sally graduates soon and who volunteered their time at the market and helped us get the WIFI up and running! Blessings to all of you for a happy and healthy springtime! Special Events in April, 2015: Amazing Vegan Brunch and Spring Into Spirit Holistic Wellness Extravaganza! Join us for two special events in April, 2015! Beginning May, 2015, Schwartz Living Market will be open five days a week! In April, 2015, the market is open on Saturday, April 11 and Saturday, April 18 for two very special events! 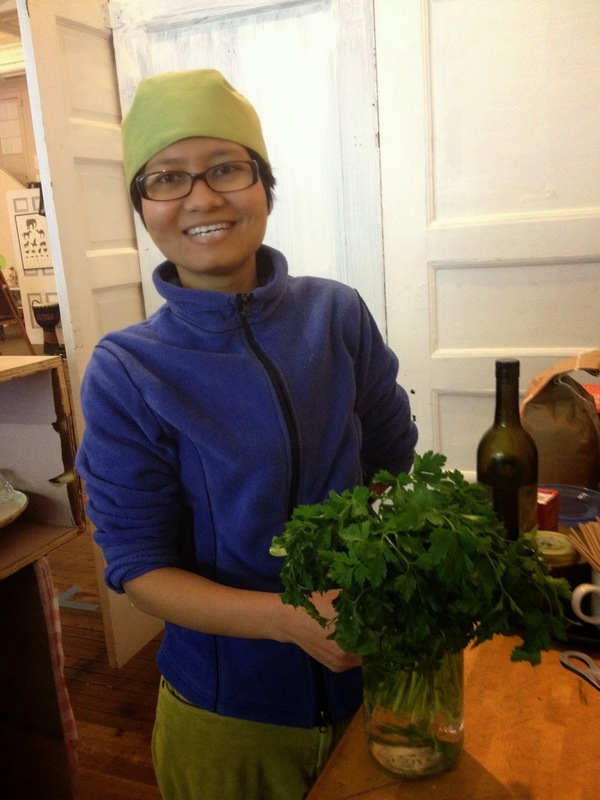 On Saturday, April 11, 2015, Mya Zeronis of Zest Wishes will host an amazing Vegan Brunch at 1:00 PM. Go to ZestWishes.com or the Zest Wishes Facebook page or here: http://april11brunch.brownpapertickets.com for details!